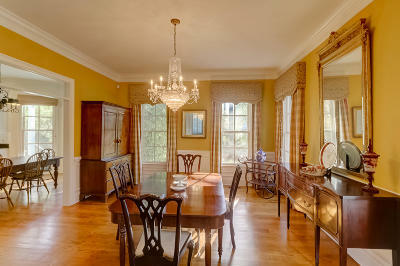 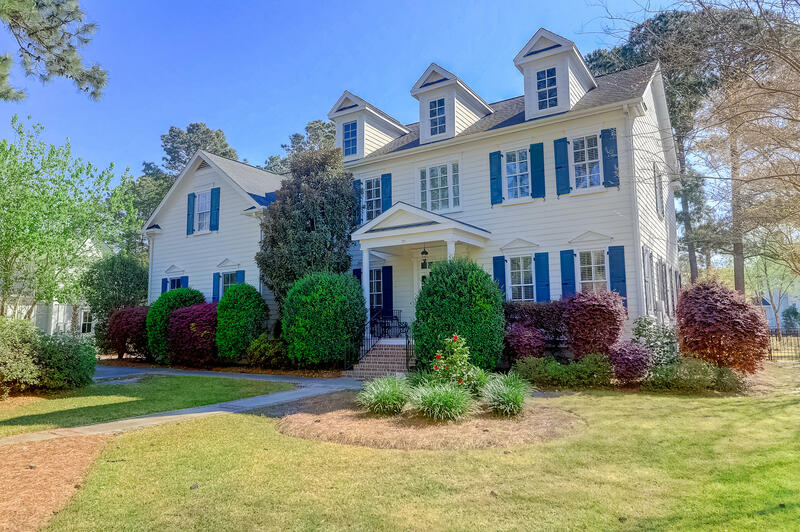 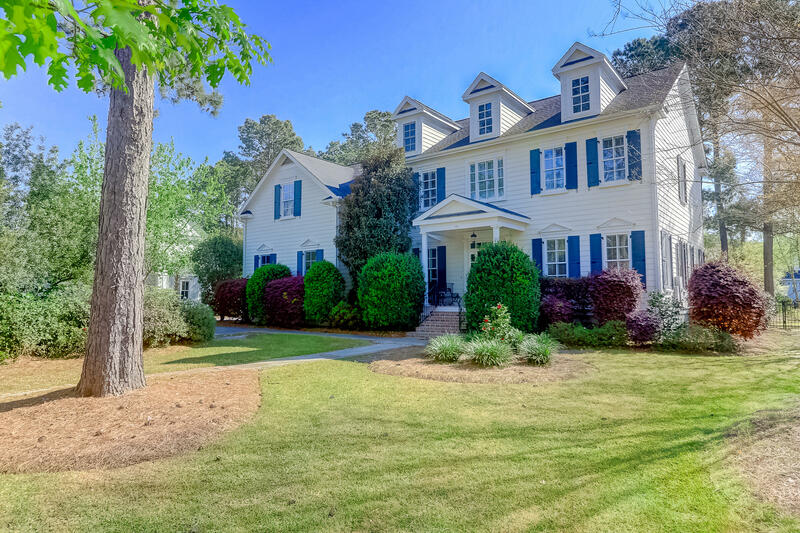 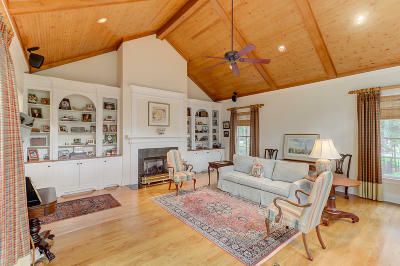 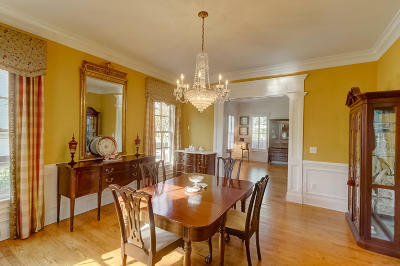 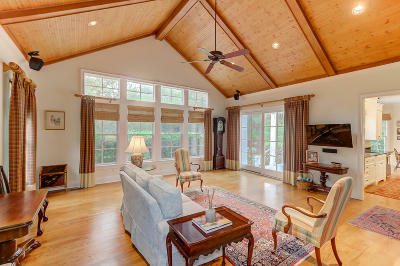 Olde Park estate home with 5 bedrooms and 4 bathrooms nestled on .40 acre with mature plantings and view of the pond. 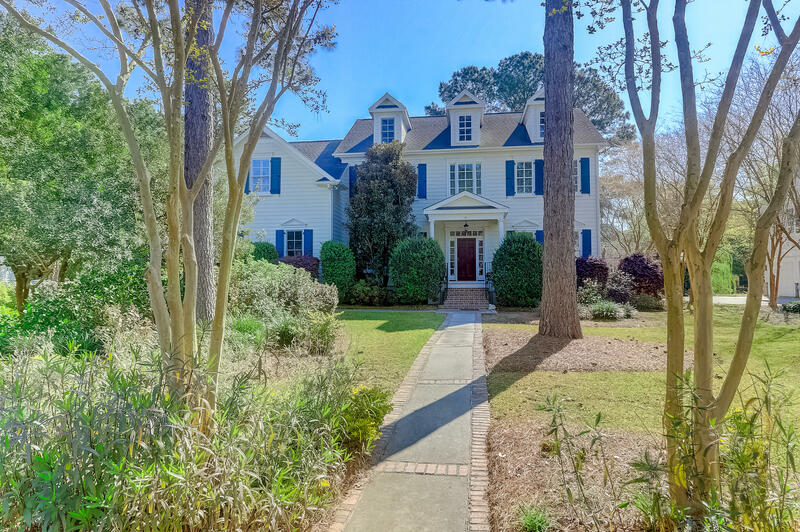 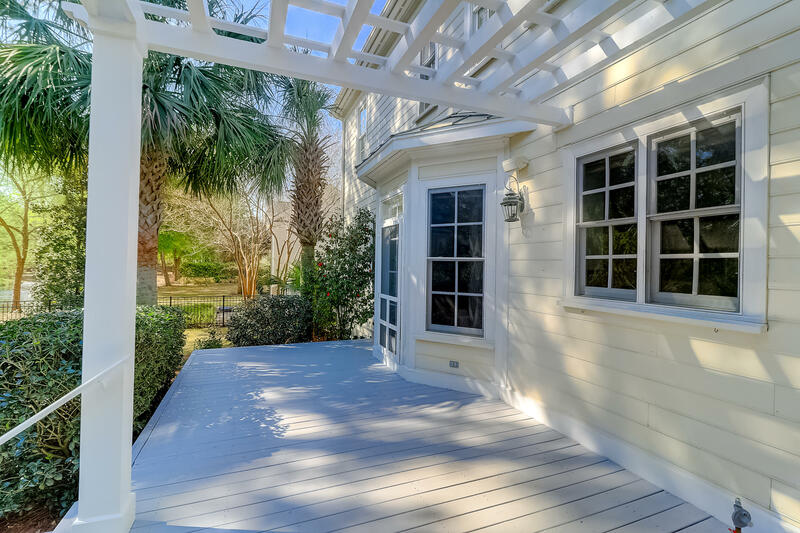 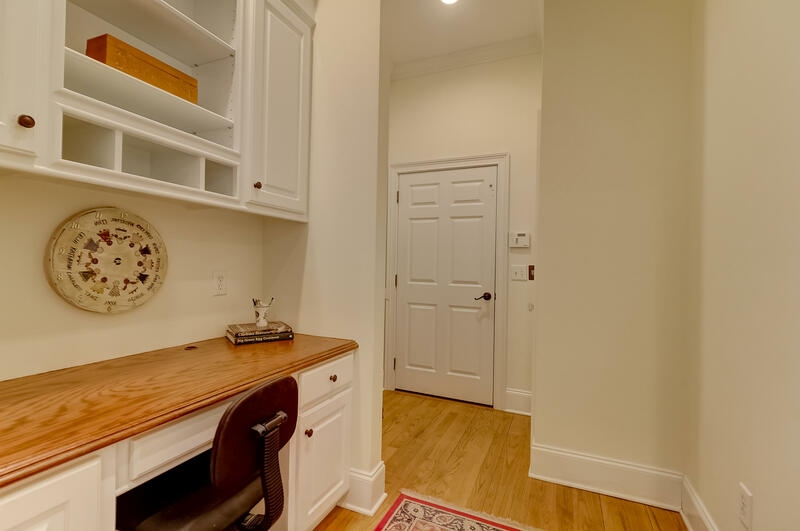 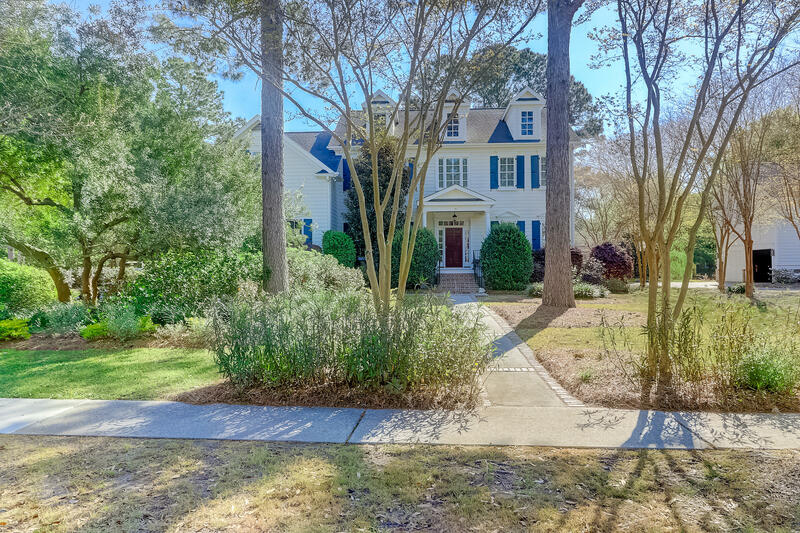 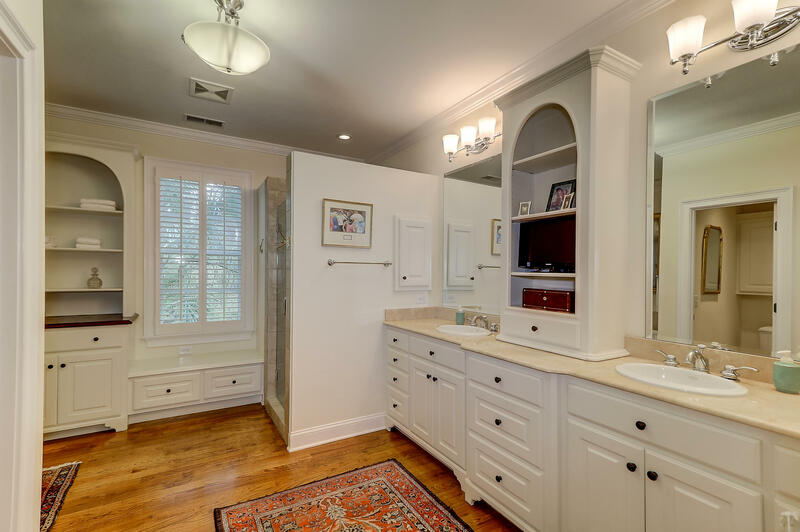 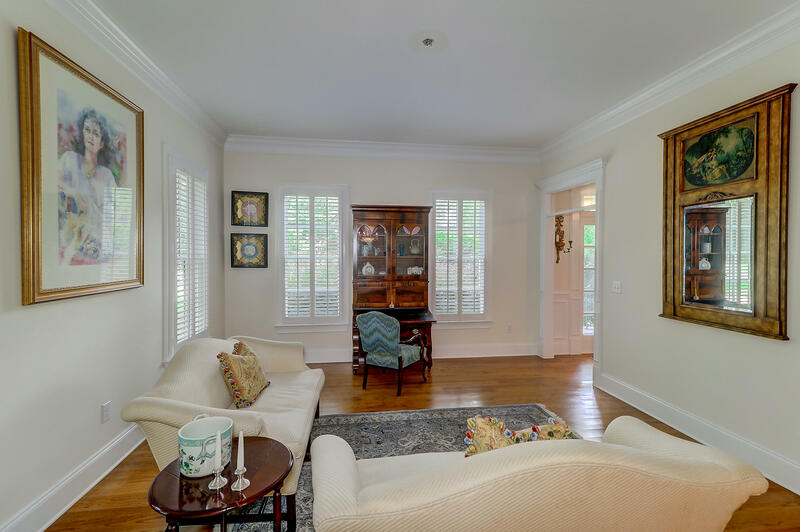 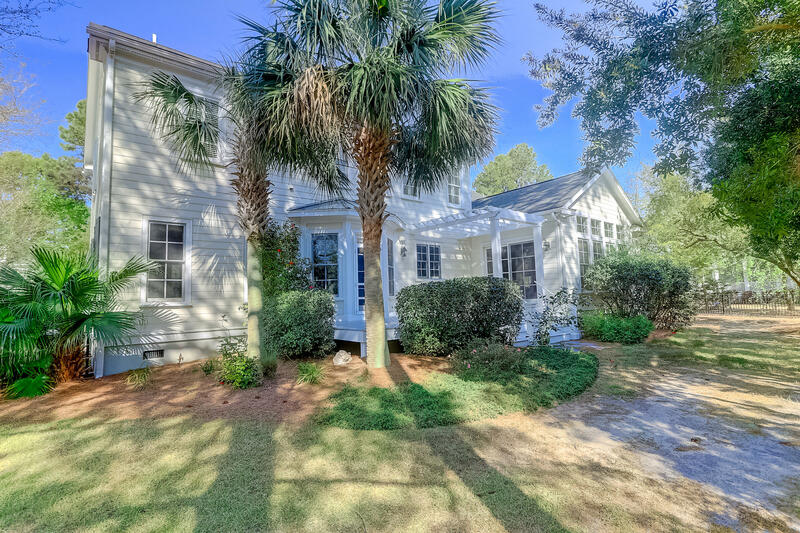 This home is timeless and designed for casual yet sophisticated lowcountry living. 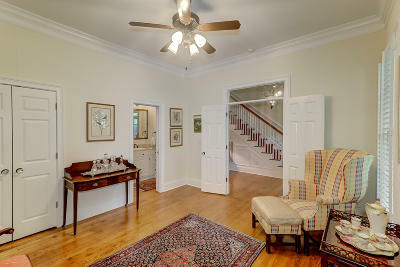 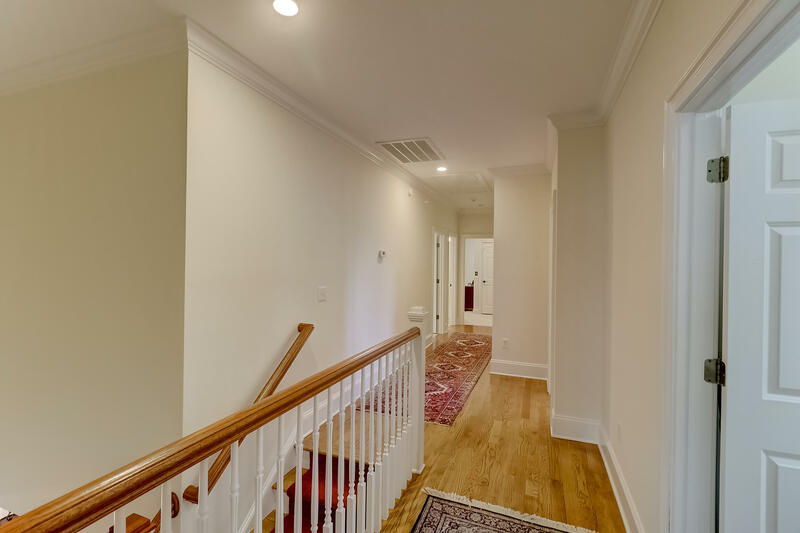 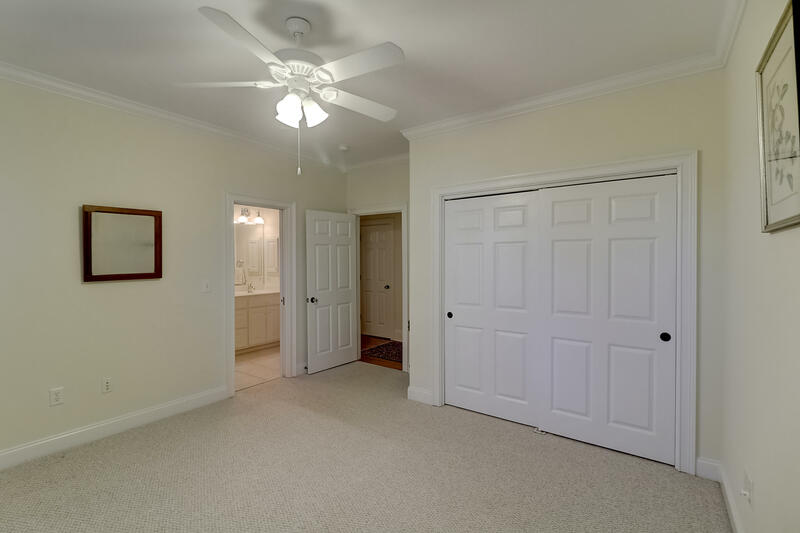 Upon entering the home, you are welcomed into the beautiful foyer. 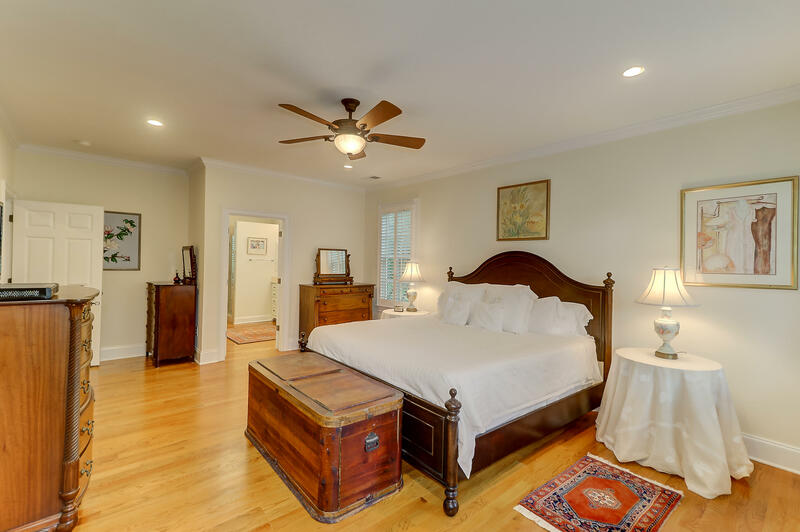 To the left is a lovely room with closet and direct access to a full bath. 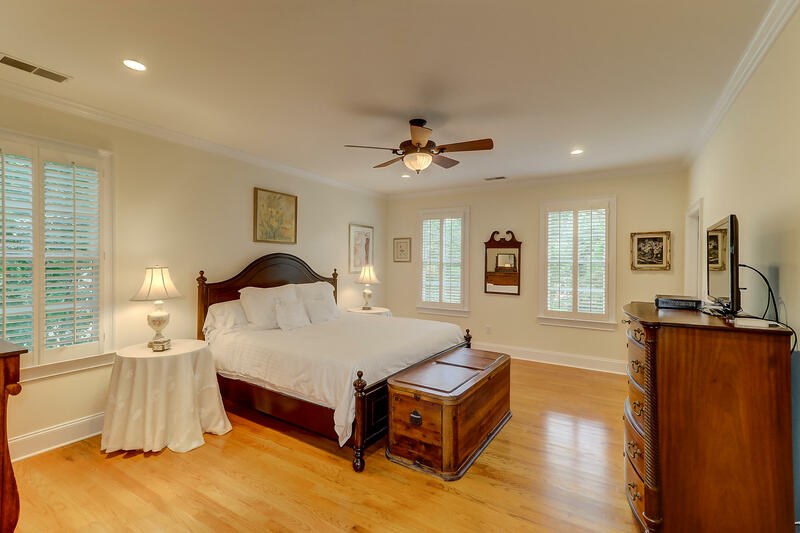 This room makes for a great guest room or private study. 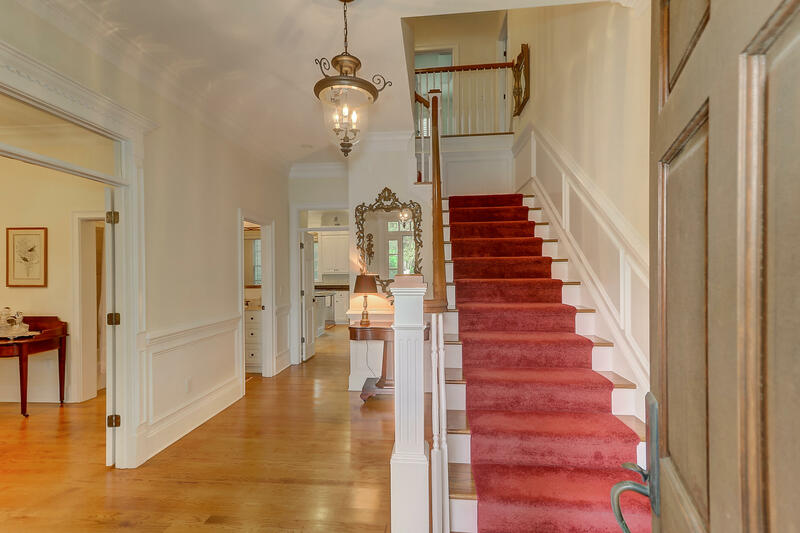 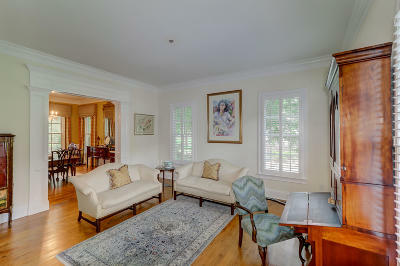 To the right of the foyer is a gorgeous living room. 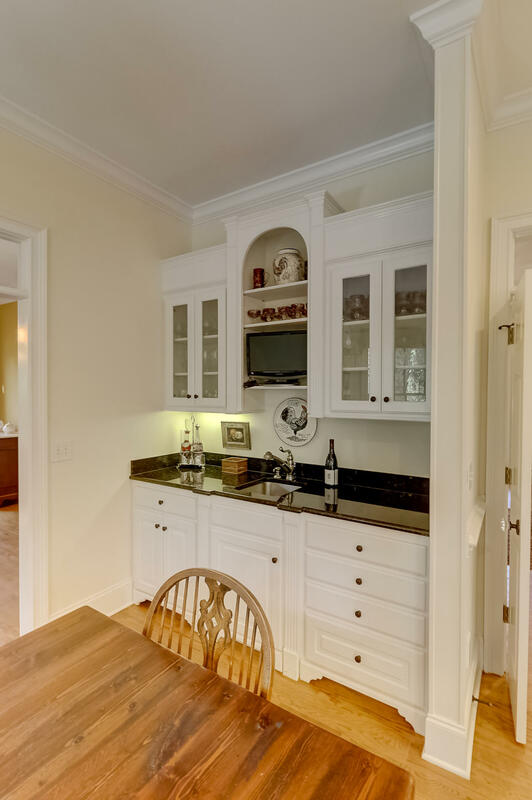 Through the cased doorway is the dining room that then flows seamlessly into the kitchen. Beyond the kitchen is a fantastic family room with vaulted ceilings adorned with a handsome wood ceiling and further enhanced with fireplace and built-ins. 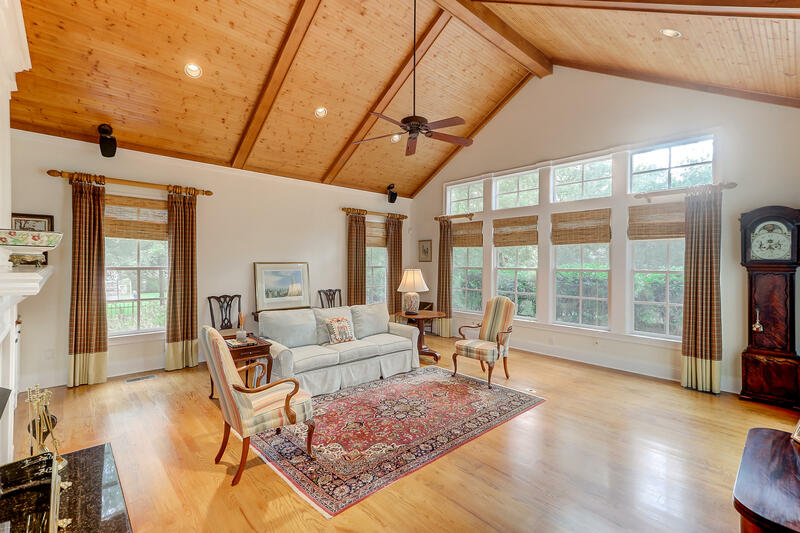 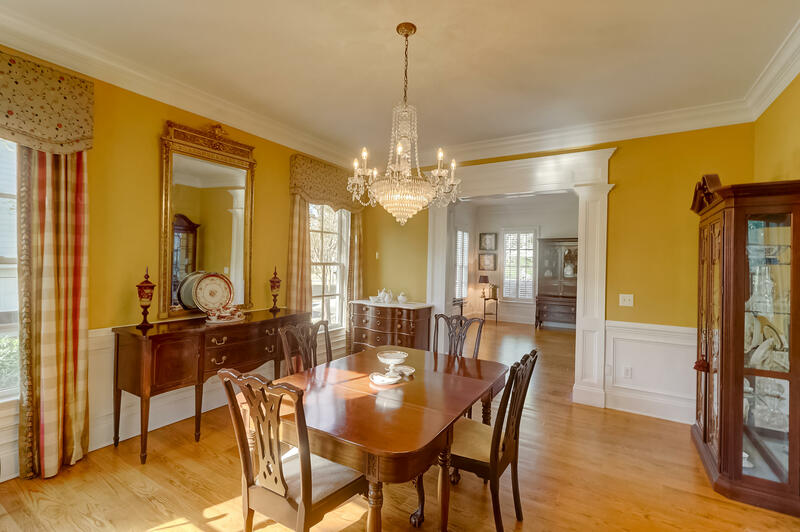 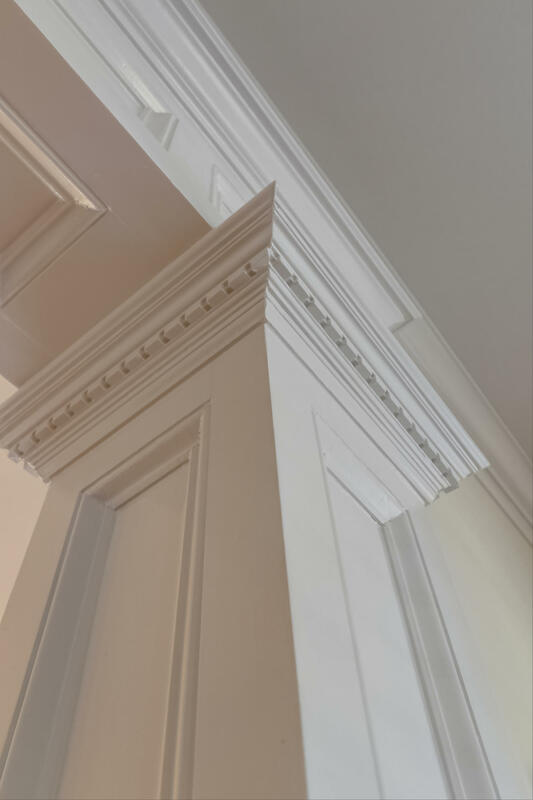 The ceilings are tall and soaring throughout the home and the floors are gleaming hardwoods. 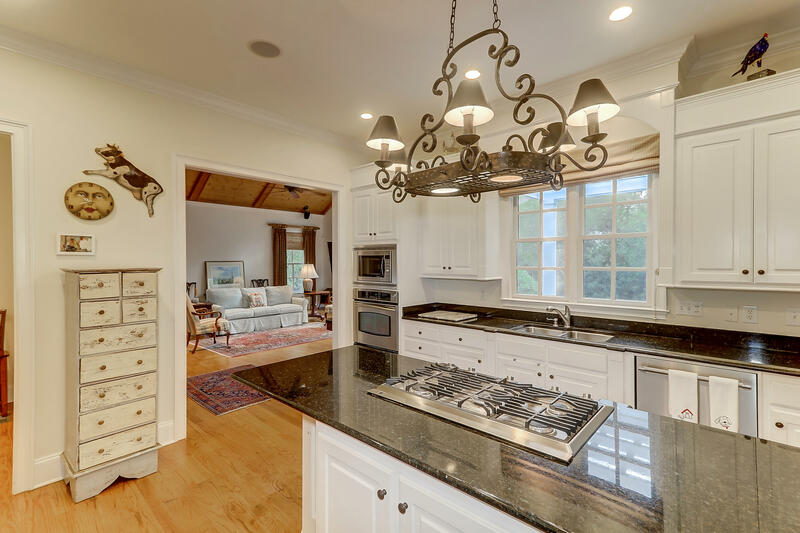 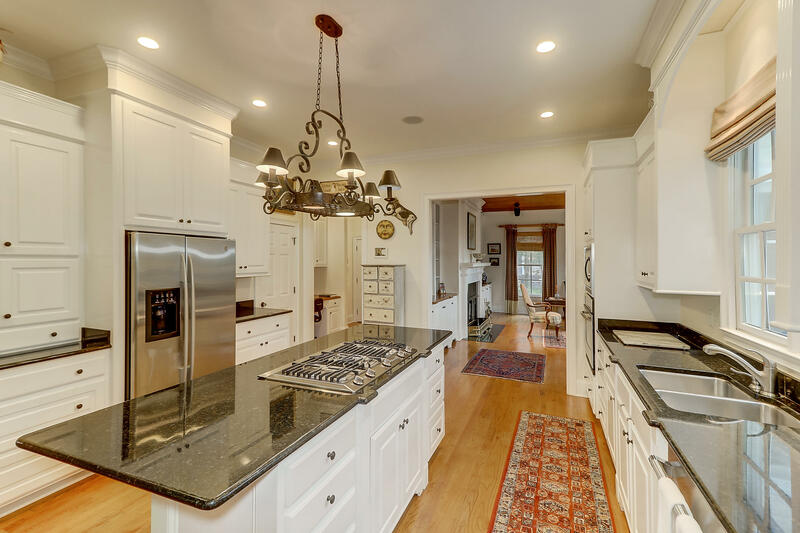 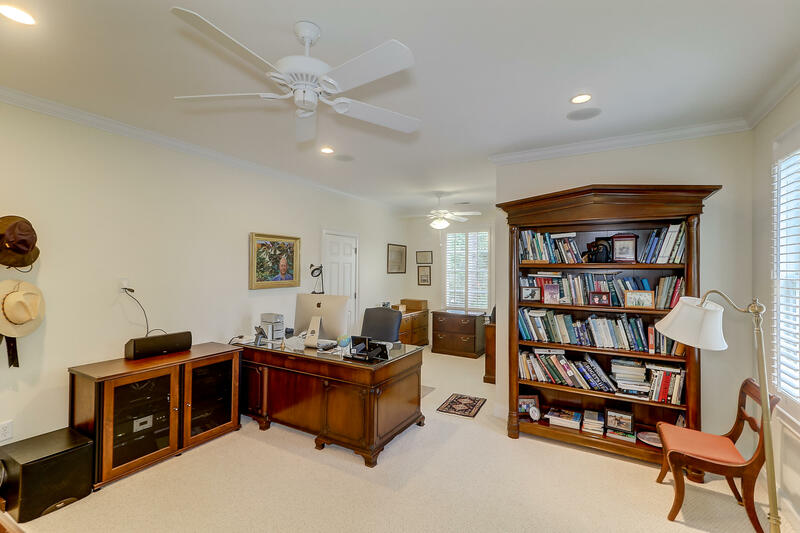 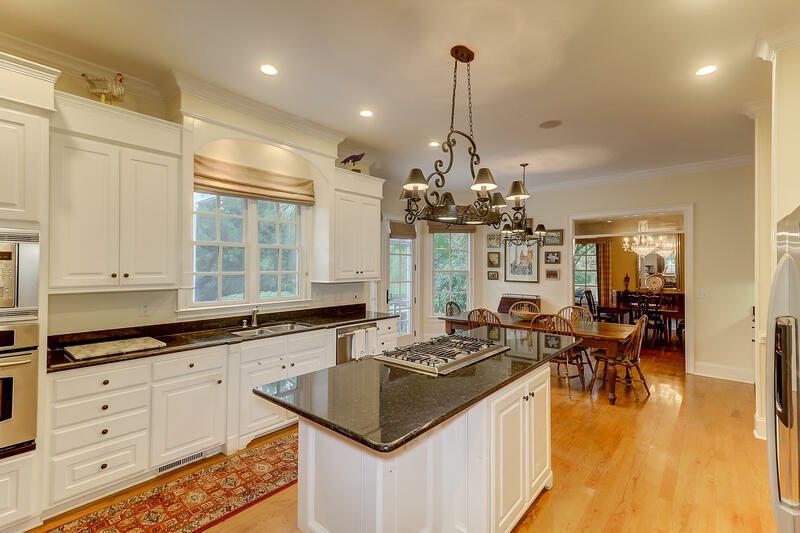 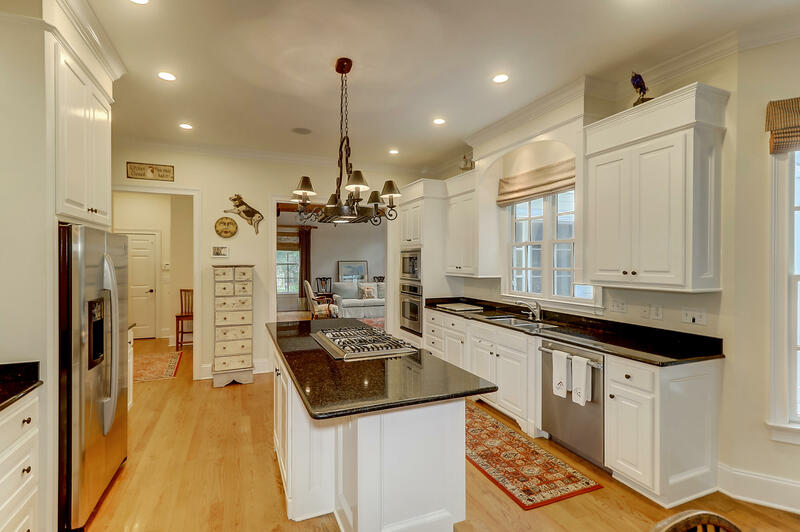 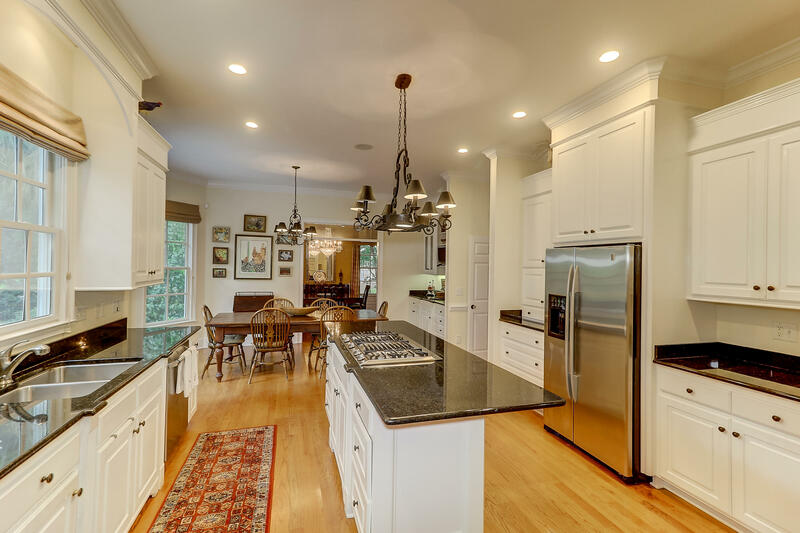 The custom gourmet kitchen flows effortlessly to the family room and to the back deck that overlooks the large back yard with views to the pond . 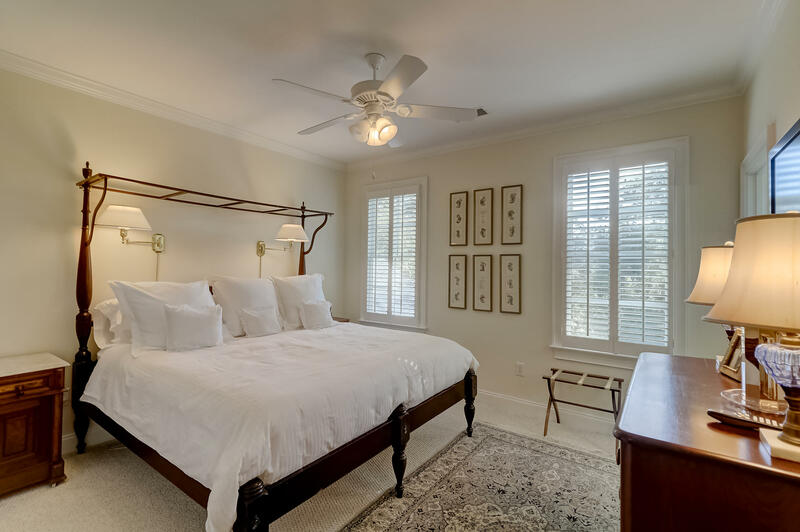 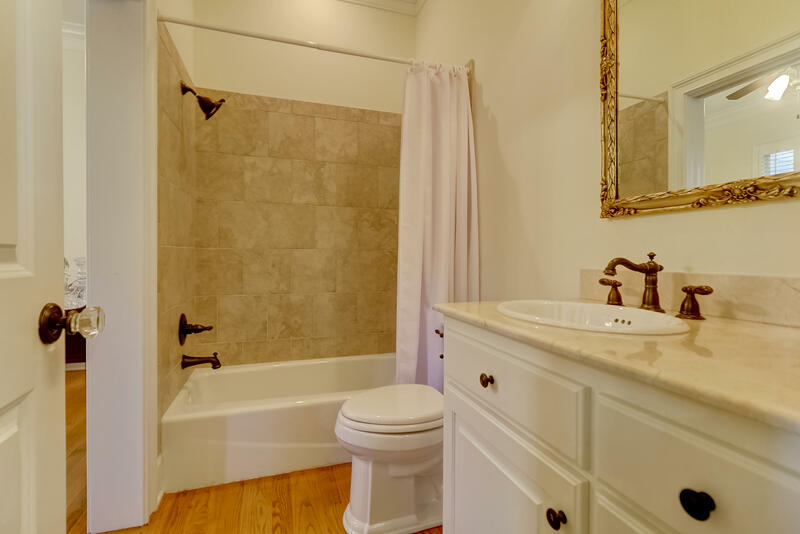 Upstairs, by way of the elevator or staircase, is the master bedroom ensuite and three other bedrooms, three full baths, and the laundry room. 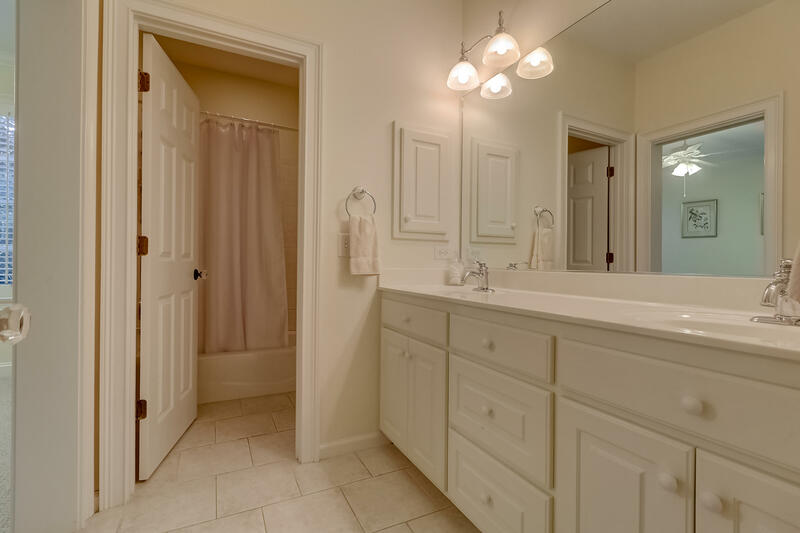 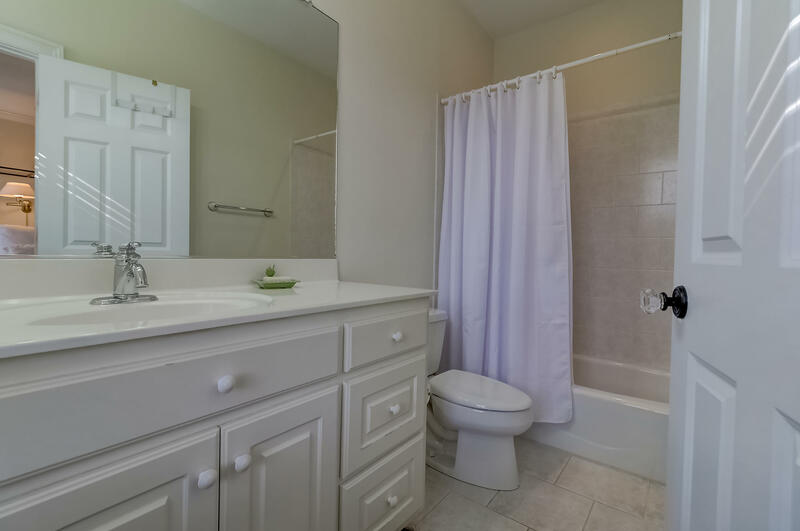 All bedrooms are spacious with nice closets and nicely finished bathrooms. 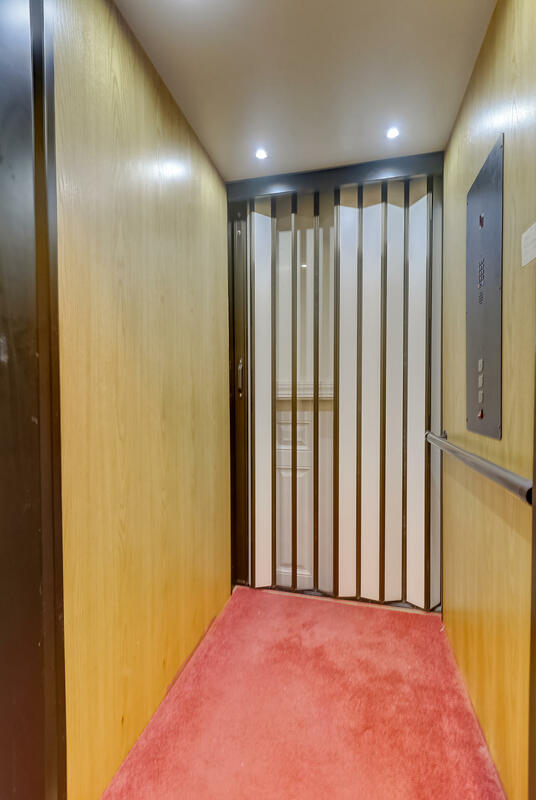 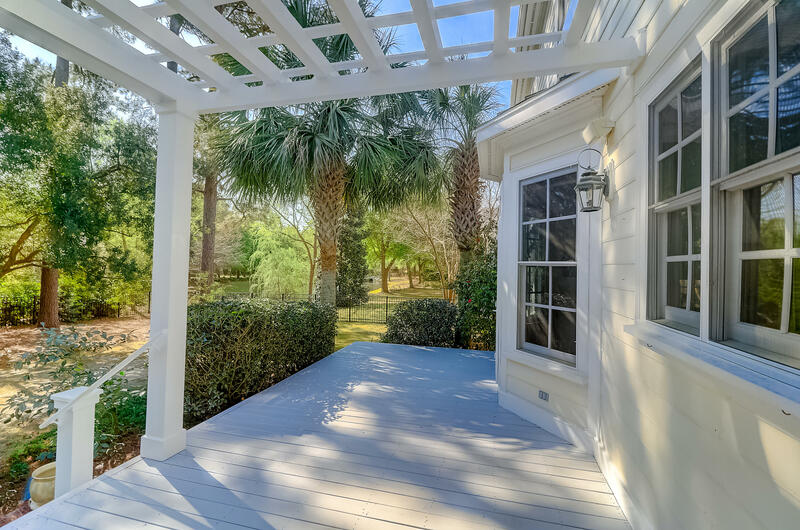 Additional attributes include hardi plank siding, elevator from the garage to the second floor, true hurricane shutters, attached two car garage, security system, and irrigation. 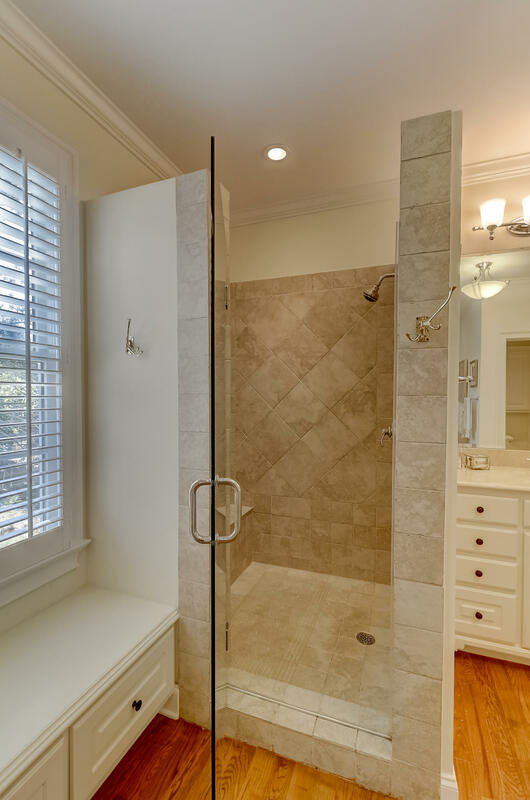 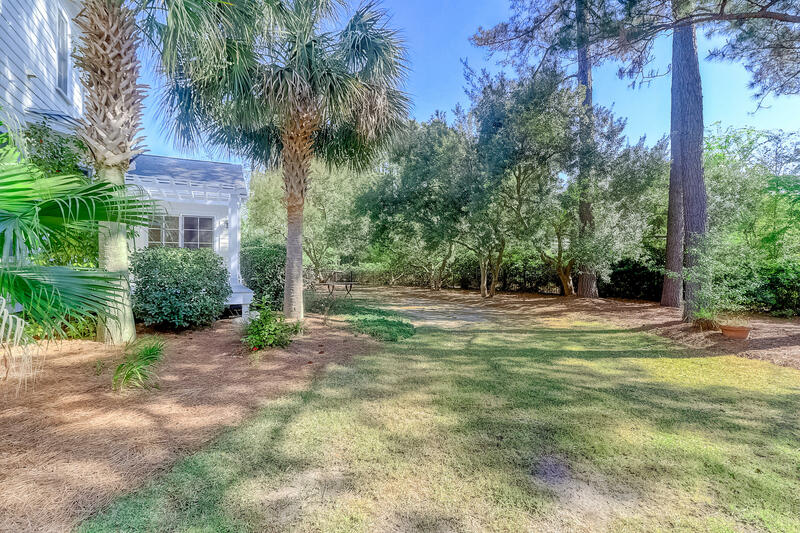 Don't miss seeing this remarkable home so centrally located between downtown Charleston and the beaches!